My son loves all things cars, specifically the movie franchise that stars Lightning McQueen and most recently, NASCAR. He doesn't really have a favorite driver; however, when he was able to go to the store and choose cars as a gift, he'd go on to select Chase Elliot's #24 and #25 NAPA Auto Parts cars and whenever there was a race on TV, he'd be the driver he was looking for (I once chose a Dale Earnhardt Jr. car for him because, besides Danica Patrick, he's the only other driver I know). I didn't have the chance to take him to see a Cars movie in theaters, as the first two were before his time and Cars 3 he saw with his dad, so being from Kansas City, I thought it would be nice to take him to an actual NASCAR race at the Kansas Speedway, which is less than a 30 minute drive from our home. If you know anything about NASCAR, you know that those tickets are not cheap! A youth ticket could be free; however, an adult ticket could range from $75-$100 depending on the race. Considering I'm a mom who is single, on a budget, doesn't know anything about these races, and had a 6-year-old boy whose attention span wouldn't outlast the whole race, I needed another option. Fortunately, there is such a thing called a qualifying race and those tickets were more affordable. The 2017 Monster Energy NASCAR Cup Series Qualifying ARCA Racing Series saved the day! A short history lesson: ARCA stands for the Automobile Racing Club of America and was founded in 1953 as the Midwestern Association for Race Cars. It is considered a minor but professional league of stock car racing and was acquired by NASCAR this year. I found this information via Wikipedia and an April 2018 article written on motorsport.com, but the most important part of this racing series for me is that general admission is $10 and you can sit wherever you like(!). Also, you can bring in your own snacks and drinks to the races! That was a major plus that I knew nothing about prior to searching the Kansas Speedway's website. I even took the extra initiative to call the box office to make sure that this $10, open seating and snack bringing experience was real! Even parking was free! The only expense I incurred outside of our $20 tickets was purchasing myself the suggested earbuds ($5) and my son a pair of protective earmuffs for $15. So I spent about $40 in total, but it was still less than the $75 ticket for myself plus the ear protection. Nonetheless, we packed our snacks in BJ's "traveling backpack" and were off to Kansas Speedway to spend a chilly October night at the race! 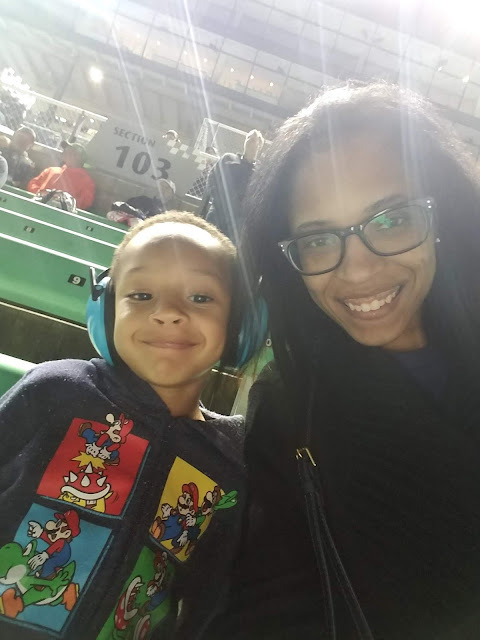 Honestly, it was a bit awkward, as we were only two of five people of color that I could see; however, I was more focused on how much fun my son had. As soon as we walked through the gates he yelled "I can't believe I'm here!" and did a little dance. :) When the cars came around to the side where the audience was seated, he'd stand in excitement with everyone else. It was an awesome feeling to see him enjoy himself on one of our Mother-Son outings and for me to be able to provide that memorable moment for him. As suspected, he gave the race about an hour and a half of his attention, which was probably lap 75/200 (I can't recall) and then he turned his focus to the two or three cars he packed in his backpack and started playing with those. And since it was chilly and watching the cars go around in a circle started making me a tad dizzy, I made sure that he was ready to go so we could head home. On the way out, we got a ride from one of the really nice golf-kart driving employees right to our car then headed to Culver's for our late dinner, where we sat and ate together, still hearing the roar of the cars from the speedway. I cherish these moments with my little boy. We may not have the same interest, as I've never entertained the idea of NASCAR in my whole life, but the most important thing was to spend that time with him and make him smile. It doesn't matter how awkward, cold or dizzy I felt. I was going to find a way to make attending a NASCAR race a real thing for him. Again, I am grateful for those $10 ARCA tickets. I didn't have the funds for a "real" NASCAR race and now, almost a year later, he doesn't talk about NASCAR or much less play with cars anymore. Nope! He's into sports now, but I think I'll leave the NBA game attendance to Dad. Hello! My name is Crystal and I am a native Kansas City, Missourian. I am the mother of a 6-year old video game connoisseur, car-loving son affectionately known as BJ. I am an Avila University non-traditional graduate and am very proud of that achievement. My contribution to Britney Dearest is to reveal a perspective that is opposite of the hostess; however, share that life as a mom who is single (but dating), working two jobs, maintaining a home (that I purchased on my own in 2016) and having a balanced social and parenting life is possible. I hope to be an inspiration to those whose lives may not be that of a wife (yet) and mother of 2.5 children, yet still able to live it as prosperous and customary as possible. In the midst of a blog about families, home and mom life, I am here to talk about single parent life because that’s what myself and 32% of the US population were in 2017, according to Pew Research Center. And if you are a faithful subscriber to any of Britney Dearest’s platforms, you may have noticed that she was once a single parent in the early years of her daughter’s life. However, I’m not here to talk about the statistics and deliver a “woe-is-me” experience about it. Nope! I’d prefer to talk about how parents who are single can thrive in their own right until that special someone comes along – if that’s what they’re aiming toward. Ideally, I think some of us would like to be married with 2.5 children, but life doesn’t always work out that way. 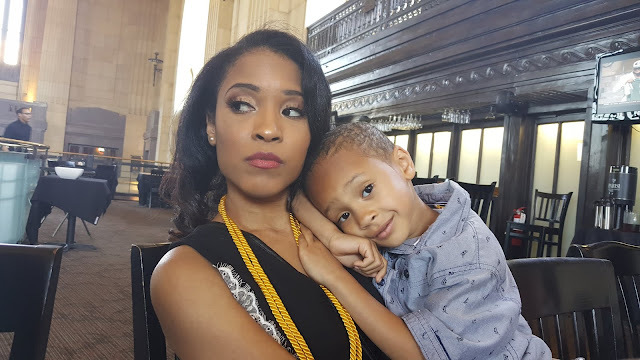 Sometimes people have children and get divorced or unplanned children are born into unmarried relationships, oftentimes leaving one parent with the responsibility of caring for their child or children if that relationship ends. Per Pew Research Center, 15 million children are living with a solo mother, 5 million live with cohabiting parents, and 3 million live with a solo father. Sometimes, I am not sure which classification my child falls under. He doesn’t have a single mother or father. His father is married to a wonderful woman and his mother happens to live alone and be unmarried, but is dating. However, the census bureau may still label me as a single mother and I don’t like it. I don’t dislike it for any shameful reasons. Oh no! I truly admire those parents that house, clothe, feed, love on, entertain, show up, care for and more for their children every single day. Parents that put the needs and wants of their children before their own desires while their children don’t see a lick of their struggle are worthy to be praised. But I am not a single parent. I get the luxury of my son spending time with his dad every Monday, Tuesday, and biweekly weekends. We’ve done this for almost 7 years now. Along with time spent, his father helps financially and I don’t mean I call him with a number and he provides. He is responsible for our son’s health insurance and splits the cost of birthday parties, he shows up to every school program and sporting event and provides all clothing and accessories while our son in his care. He doesn’t pay court-ordered child support because his support for his child is consistent and voluntary at all times. We may have disagreements, but eventually, we come to an understanding and move on with our days. I would never call myself a single mom and take any credit away from what he does and demean the job that true single parents have. With all of that being said, I won’t be a prude about how the census bureau classifies us, but my hope is that all parents could co-parent successfully. If the end of the relationship was not due to physical, sexual or emotional abuse, my belief is that it can be done. Sometimes, we just have to set our emotions aside and peacefully coexist for the sake of our children. It may sound cliché, but it is extremely important. Our relationship ended when our son was just seven months old; however, he has not seen us being cruel toward each other. Of course, we’ve had our arguments and disagreements, but it’s always been important to keep that behavior away from our son. He doesn’t have a “favorite parent” and never shies away when it’s time to visit with the other (though he tells me every pick up that he missed me 😉). Furthermore, because I’ve kept my emotions at bay, transitioning to a home with a step-mother was made easier for him because from his perspective, I was 100% supportive (we can save my true feelings at that time for another time). I hope to someday use my experience to help others. So far, I have one friend that has adopted the parenting schedule that we have and she’s expressed her gratitude to me for being the reasonable angel on her shoulder when others want to play devil’s advocate. But believe me, it has not always been this easy. The first thing we have to do, no matter our relationship status, is to keep the wellbeing of our children first and be honest with ourselves and our feelings. I began substitute teaching this school year, in August, and the extra income for our household has been great. The flexibility of my job grants me the ability to take my kids to school and pick them up every day and take off on the days I have other plans, like appointments and important errands.There are many benefits of substitute teaching, but there are also a few disadvantages that honestly, are making me rethink my college major. 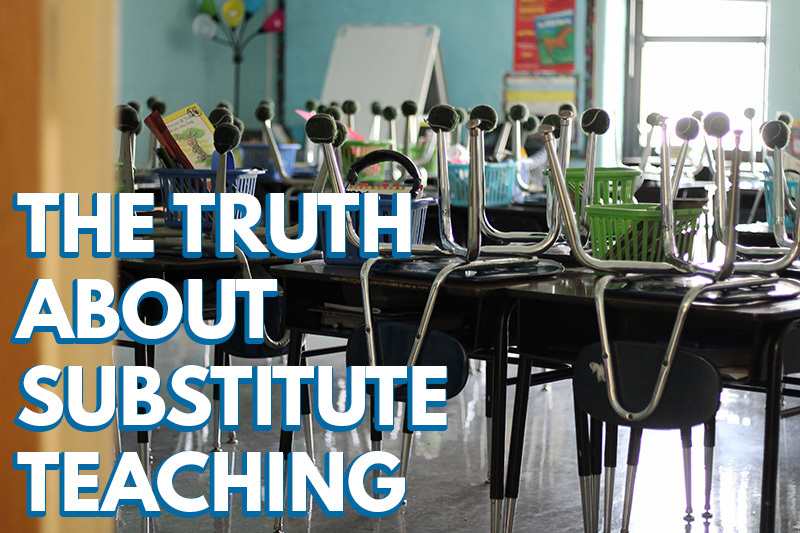 I shared the pros and cons of substitute teaching below. -If you enjoy working with children and have a passion for childhood education, it's a great opportunity. -It's good experience if you want to become a teacher. -It's very flexible. You can choose to work on the days you prefer. -There's so much gratification in seeing smiles on your students faces when they accomplish an activity or task or tell you about exciting life changes, for example, their newborn sibling or gymnastics advancement. -You don't have to write lesson plans. -The staff is usually very friendly and helpful. -If you thrive on and can adapt quickly to constant change, a new classroom daily or weekly, substitute teaching may be a good fit for you. -Jobs aren't guaranteed. Luckily, I work in a large metro area for an educational staffing company that serves multiple districts and they always have multiple jobs available. -You may not be offered any benefits. -If you don't adapt well to change, substitute teaching may be a difficult adjustment for you. Each teacher is different and handles her class differently. -The biggest con for me- it can be mentally draining and stressful. 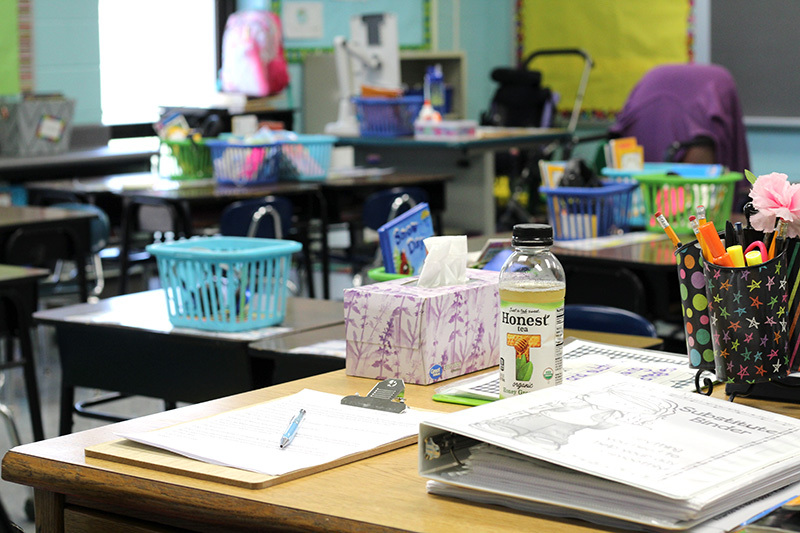 Most classes will test the substitute teacher and students can be very disrespectful. It takes a lot of patience on the substitute's behalf. Fortunately, many teachers leave instructions on how to deal with specific students who may cause issues and neighboring teachers are there to assist for what many schools I have taught at calling a "buddy room" or they remove those students from class for the day, sending them with a teacher the student is more familiar with. I have taught in numerous districts and some were easier than others, but every class has at least one challenging student you may have to give a little extra attention to. I will say that the positive outweighs the negative. There have been numerous times students asked if I was coming back and when I answered no, they expressed unhappiness. Students ask for hugs, it feels great to see students learning and enthusiastic about learning, they give such sweet compliments and can make you feel like the best substitute ever. On the contrast, I have been hit in the stomach and had my debit card stolen, both incidents were done by elementary aged kids, two different districts. I don't know if I'm willing to continue dealing with the negative aspects. 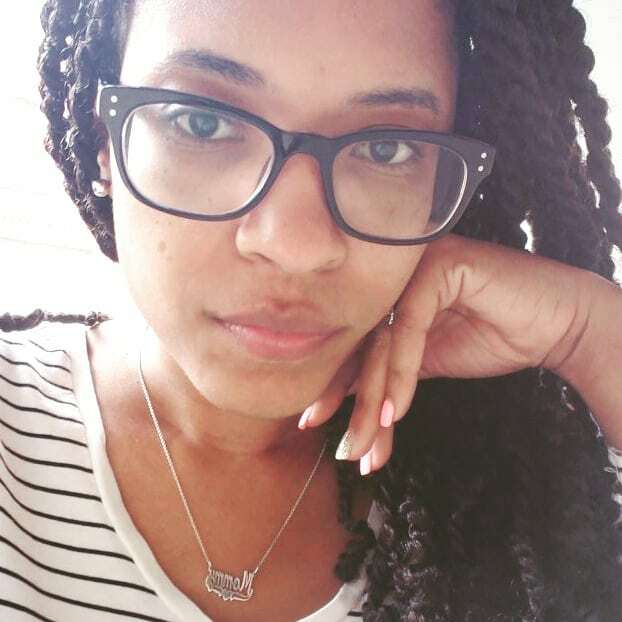 While deciding whether or not I should continue pursuing my degree in childhood education, I try to remind myself that permanent teachers are treated much differently- better- by their homeroom students than the substitutes, however, my experiences still lead me to question if it's something I can see myself doing for the rest of my working years. I absolutely adore children! My family knows I have a huge heart and soft spot for children, so maybe I'll consider combining my two passions- graphic design and teaching and teach high schoolers graphic design. We shall see! I hope this list is insightful and helps you determine whether or not substitute teaching would be a good fit for you. If you have any other input, questions, or suggestions leave them in the comments below or message me. Hiring process: At the minimum, you're required to have an Associate's degree or 60 college credit hours to become a certified substitute teacher. You will have to submit transcripts. Following the applcation I had to pay $50 and was fingerprinted in order to obtain a Criminal background check/clearance which also included the Family Care Safety Registry database. Photo courtesy of my kid's ridiculously cluttered playroom! 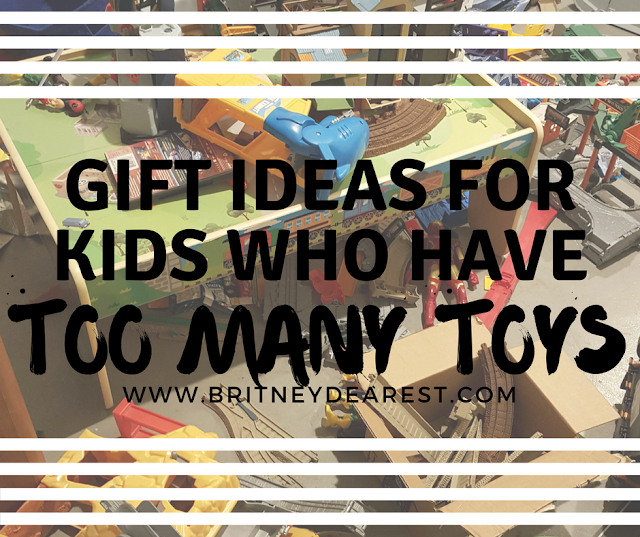 Throughout the years my children have accumulated so many toys! They have a playroom filled with toys that haven't been played with, in what seems like ages, in favor of more simple things that they enjoy playing with like LEGO bricks, electronic gaming systems, arts and crafts, science kits, and outdoor activities like basketball and bike riding. I decided that I am not buying my kids any toys this Christmas. I'll leave that up to my family members who ignore my pleas to not buy them any toys. My husband and I sat down and came up with other options. For us, it's not about the number of things they receive, the quality is much more important. I'm sharing some ideas that my husband and I have come up with for our children for those of you who could use some help, in hopes that this list can give you a good start and lead to more gift ideas that aren't just toys. 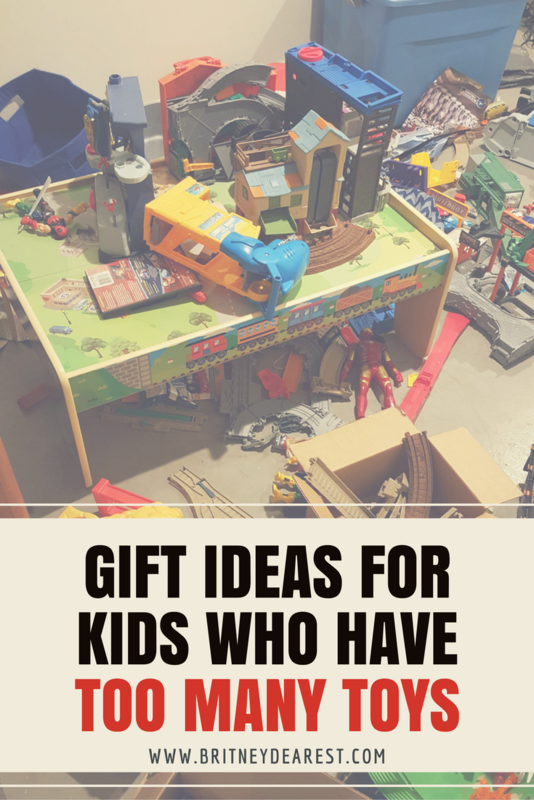 -Gift Cards to their favorite play places or someplace new like a trampoline park, indoor skydiving, LEGOLAND Discovery Center, Chuck E. Cheese's... There are so many different options! -A SmartWatch. Last year for Christmas we bought our two eldest kids Kurio Watches and our youngest a VTech Kidizoom watch. A year later, they still use them regularly! There are multiple color and style options for ages 4 and up! -An outdoor playset like a trampoline, basketball goal, a sled and snow gear, or even a swing and slide playground set. 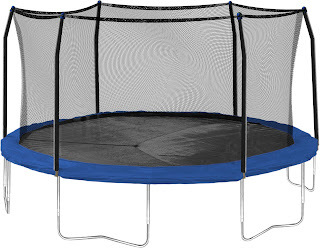 These are fun gifts that help kids stay active. -DIY science kits which are fun and educational and you can find kits with a variety of themes such as DIY volcanoes, geode cutting sets, and even a bubble gum making kits! -An electronic personal bank that counts money earned (e.g. from allowance) as it's placed in the bank. 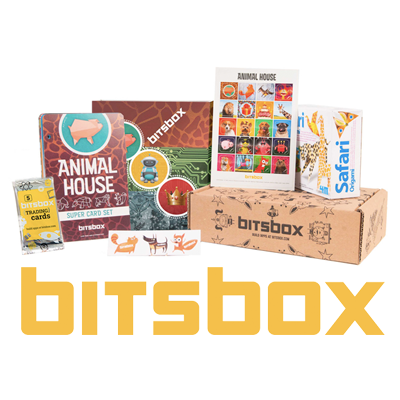 -A monthly subscription box like Bitsbox Coding For Kids. -Arts and crafts supplies for little crafters like a scrapbook, an art easel with a paper roll, or an accessory making kit. -An instant film camera and film to go along with the scrapbook :-). 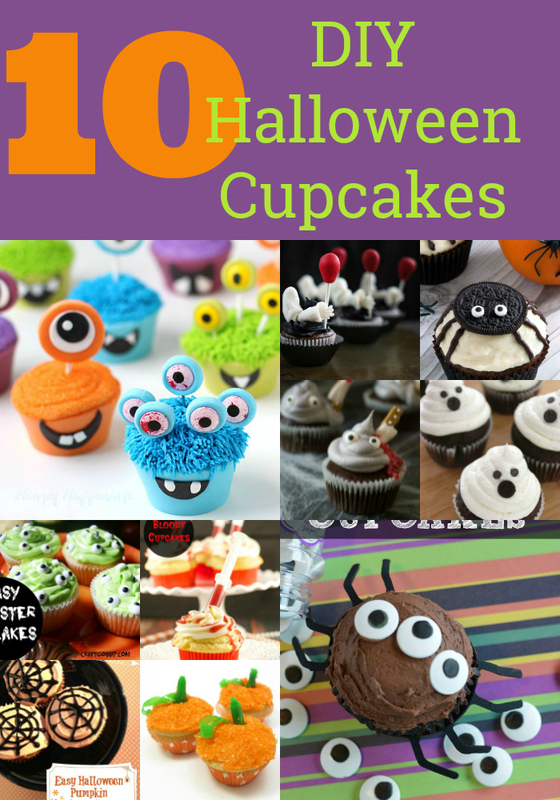 I hope this list helps! Share more ideas in the comments section! 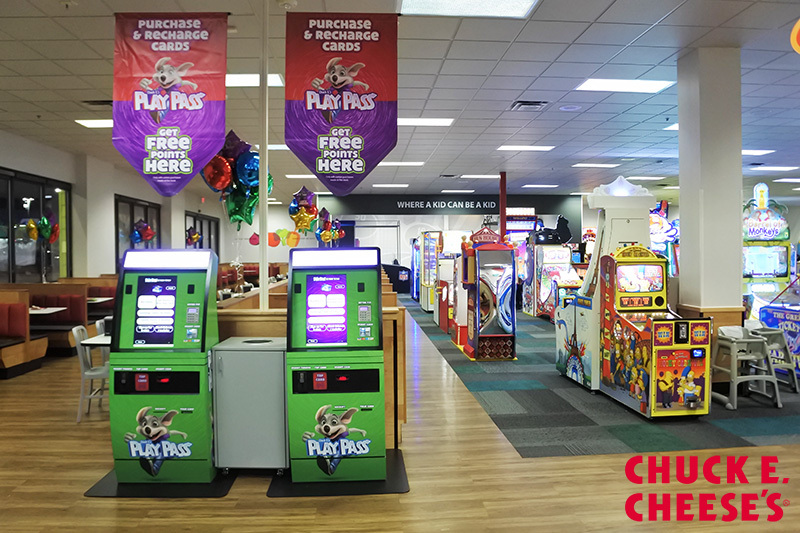 Check Out The New and Improved Chuck E. Cheese's Remodel! This is a sponsored conversation written by me on behalf of Chuck E. Cheese's. The opinions, and text, and images are all mine. One thing I love about going out and having fun with my children is going to a venue that's safe and allows me to take a break when I want while my children are still enjoying themselves. 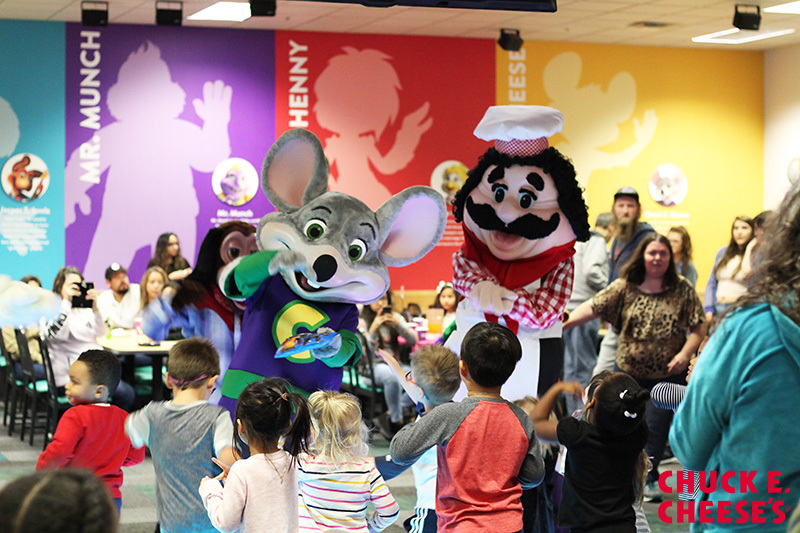 One of my favorite childhood attractions, Chuck E. Cheese's, allows me to do just that! Chuck E. Cheese's recently had a major update that allows parents and caregivers to experience a more adult-friendly atmosphere and my family was invited to attend and check it out! 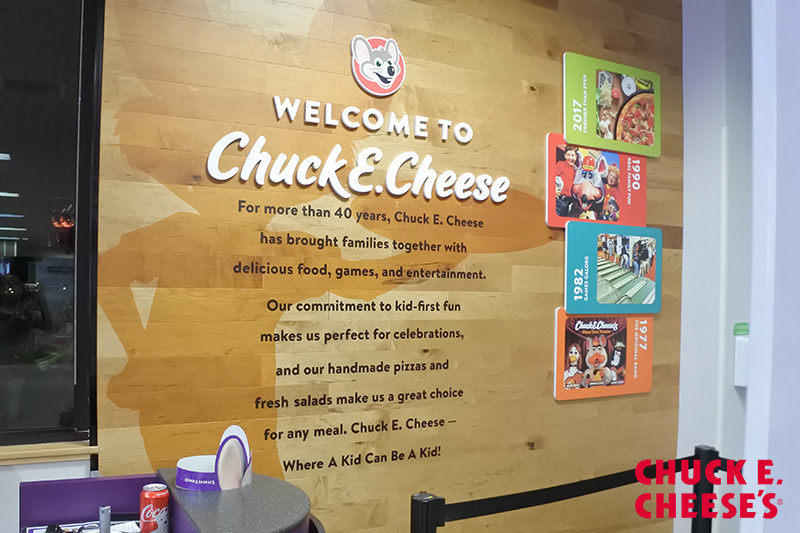 Chuck E. Cheese partnered with the San Francisco-based design firm, Tesser, to remodel the interior and exterior of a few local Kanas City restaurants to update their traditional fun family-friendly atmosphere where a kid can be a kid, by adding a modern twist! The new design has created more of an all-inclusive restaurant atmosphere that not only caters to children but also to mom and dad. The new restaurant design features warm wood, neutral tones, and colorful, yet calm and simple graphics. In addition to the ordering counter, there are now self-help kiosks available to place orders quickly that are very simple to operate. 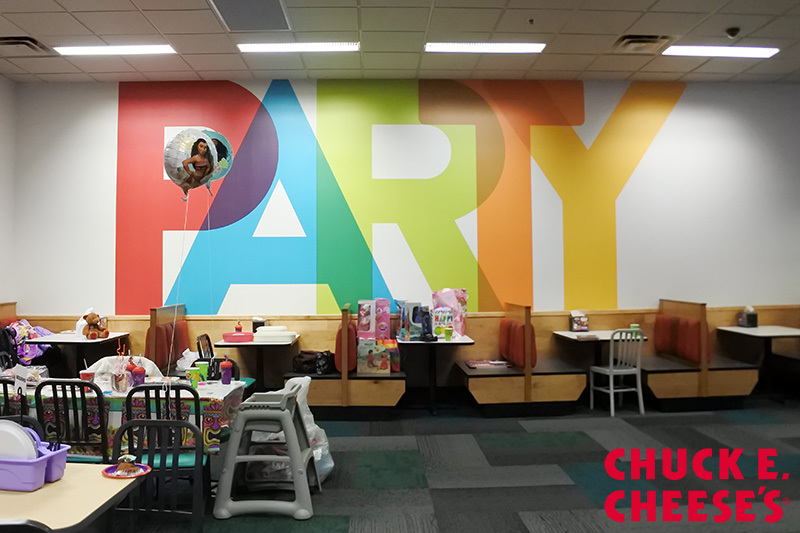 The Birthday Zone now has seating options for larger parties with each section separated by the signature Chuck E. Cheese characters featuring bold wall graphics silhouette and character biography. Separating the party and booth seating is a stunning, all-new light up dance floor where the characters from the Chuck E. Cheese band come out each hour to perform shows with the children. The dance features multiple high-definition televisions that play kid-friendly music videos and dancers that you can see in the video I recorded below. Another cool feature I would like to mention is that Chuck E. Cheese's now has windows that allow visitors to see into the kitchen to watch the pizza making process. Might I add, the pizzas are made from scratch daily! My kids loved the pizza. You can see how quickly our two large pizzas disappeared in the video at the end of this blog post. 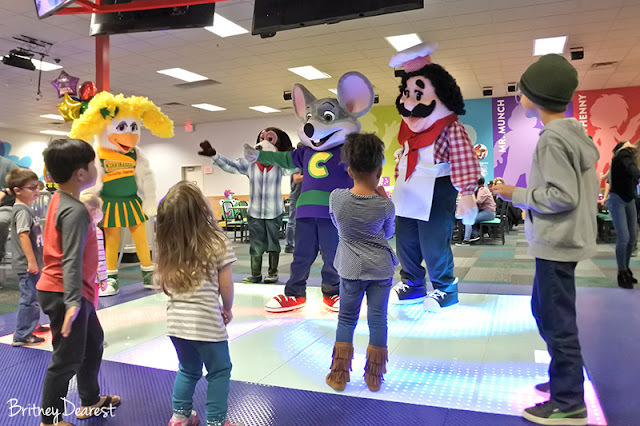 If you're looking for a fun place to take your young children to burn off a little energy or for a birthday party I highly recommend Chuck E. Cheese's. The remodel helps everyone feel welcome and you can't go wrong with good games, good entertainment, and good food! What do you think of the new remodel? Do you plan to visit? 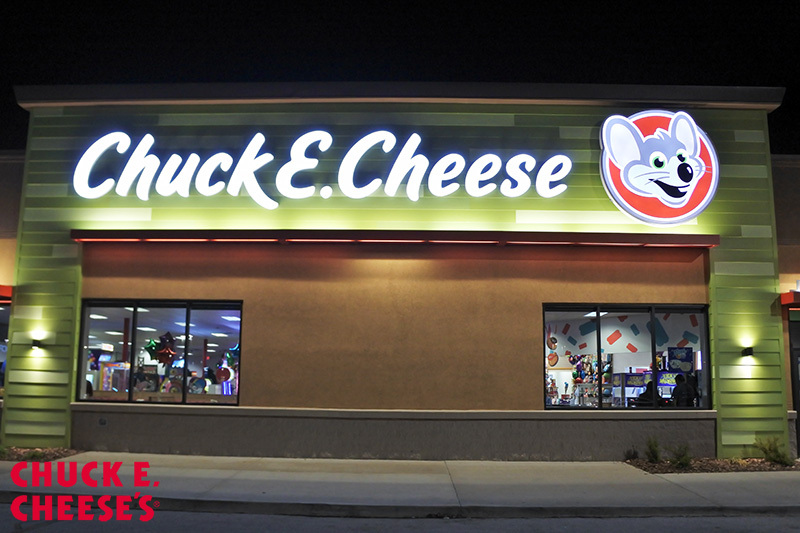 Be sure to visit Chuck E. Cheese's website and social pages! Create a Quick and Easy Chore Chart for Your Kids With Canva! Since my children could walk, I have always included them when it comes to tidying up. Early on, we sang the cleanup song while they helped me pick up their toys, "Clean up! 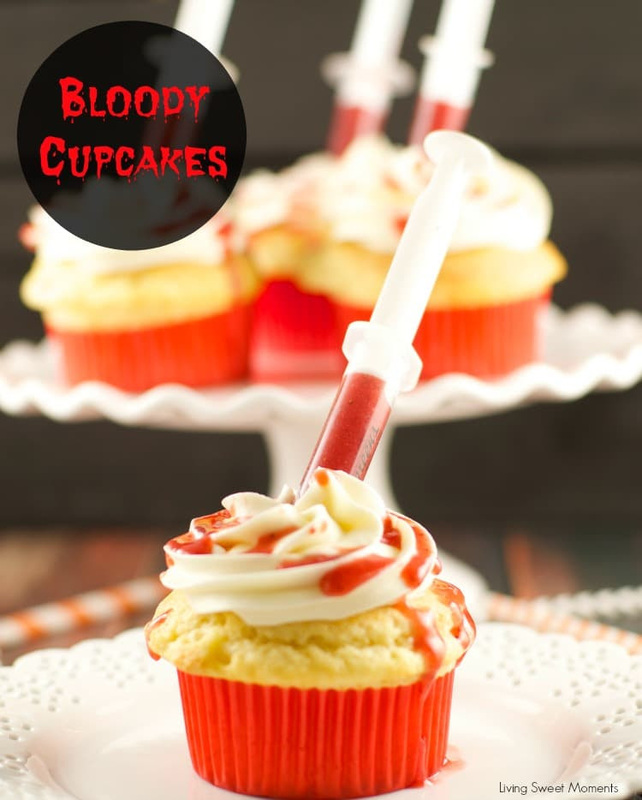 Clean up! Everybody everywhere. 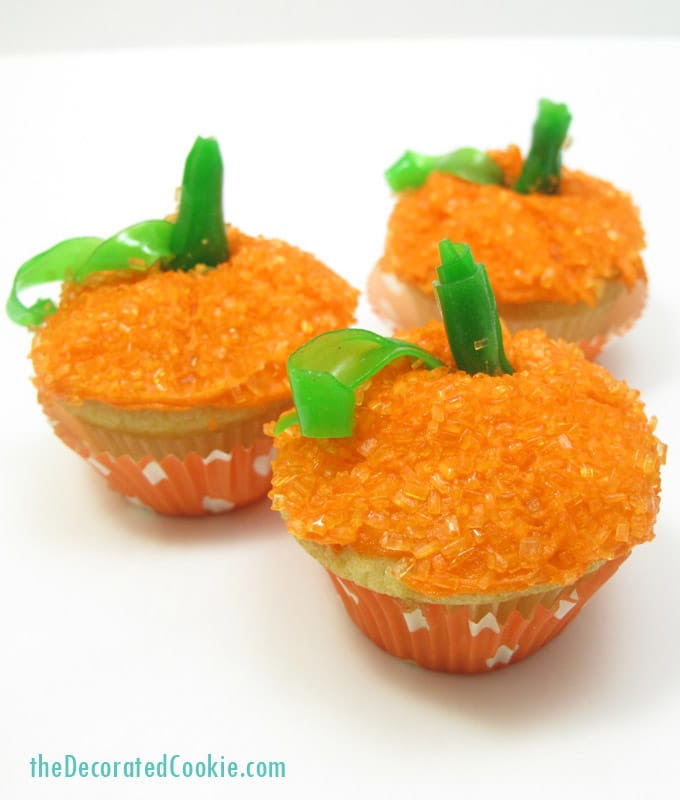 Clean up! 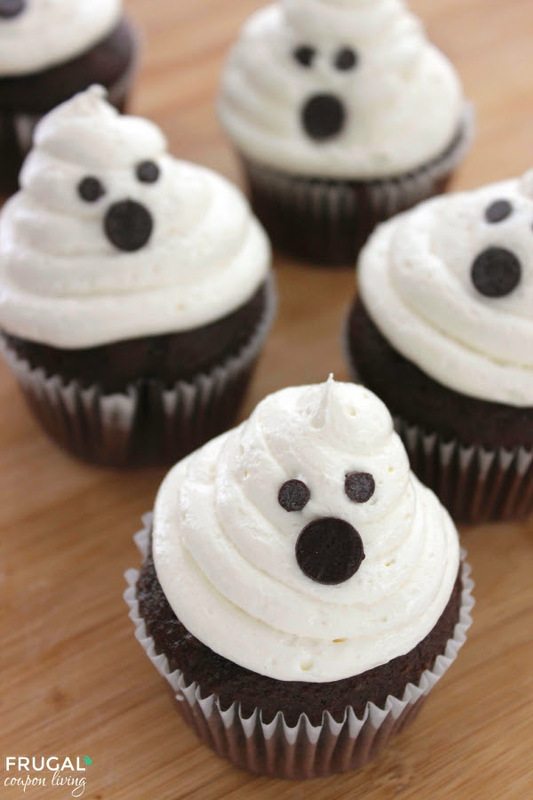 Clean up! Everybody do your share." When they were smaller it was so much easier getting them to help clean up. Nowadays, *sighs* don't get me started! It's such a struggle! I tried a magnetic reward chore chart and a few apps with a similar chore and reward method but unfortunately, I was so inconsistent with staying on top of it that it never really worked well for us. Since they have been in school, getting older and more responsible (thank goodness!) I have found that keeping things simple using a printed chore chart has been the best method for our family. Since school started I have consistently checked in to make sure the kids stay on top of it. It's now to the point that as soon as they finish their after-school snack, they go straight into their daily chores. I used a Canva seating chart layout to create the chore chart and switched the colors to neutral for fall. Good news! If you like my chart, go to the following link to customize your own! You can find my layout HERE. You can frame it, laminate it, or leave it as it! Ours hangs on our fridge with a magnet since the kitchen is the first place the kids go as soon as they get home. I don't have them vacuum or clean toilets because I like them done perfectly, however, I do have them "go over" my work just to give them experience and they can get used to it. We clean up after ourselves in the dining room. I clean the kitchen, they help at times. 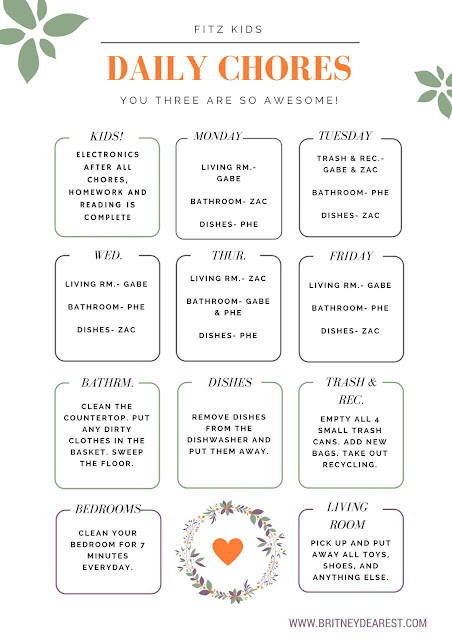 This chart helps the cleaning portion of our family and home life run smoothly. Let me know what you think... How do you encourage your children to help out with daily chores? *This is not sponsored. I did not receive compensation of any type from Bitsbox or its partners. 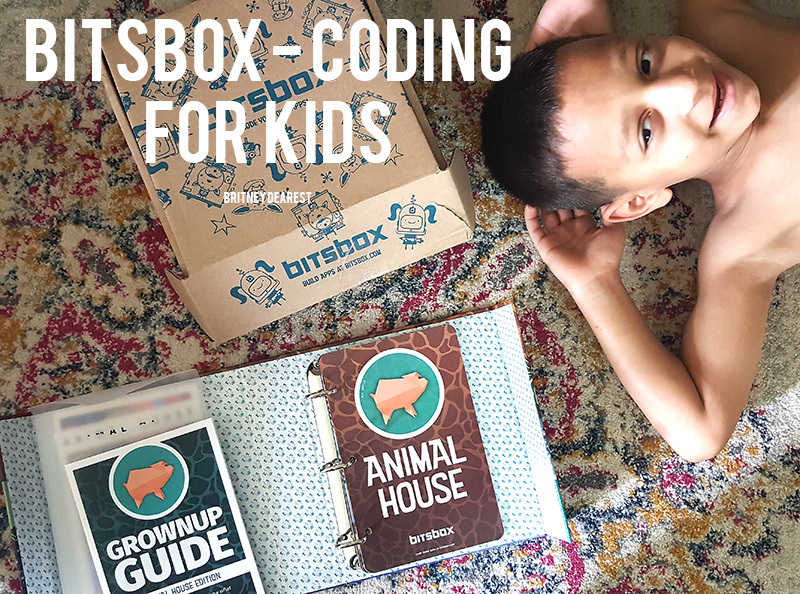 Back in May, my kids received their first Bitsbox subscription box and since then, they have had so much fun learning about coding while creating fun, interactive apps on our computer. Bitsbox is hands-on monthly subscription box that helps children learn to code through the use of cards and online activities that teach children how to create apps! Each month Bitsbox sends out a new box with a different theme and new apps to create on the Bitsbox coding site. I purchased a monthly subscription for my children for $24.95. There are two other monthly subscription prices with different features, one for $19.95 which is digital and the Deluxe for $44.95. The prices decrease depending on whther one chooses quarterly or annual billing. Watch the video below to see us open our Bitsbox and create apps! 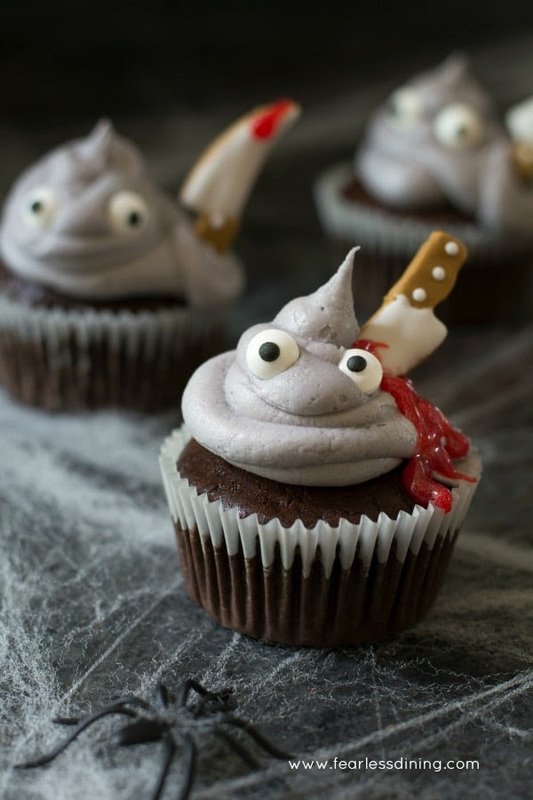 Need ideas for tasty themed cupcakes? Look no further for inspiration! 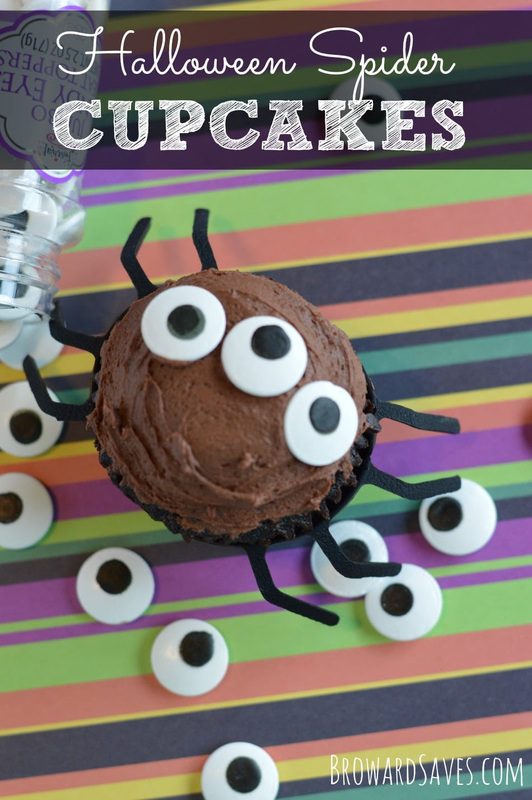 From silly monsters in edible wrappers to gluten free and scary movie-themed cupcakes, I have gathered some of the best Halloween-themed cupcakes for your special spooky event! 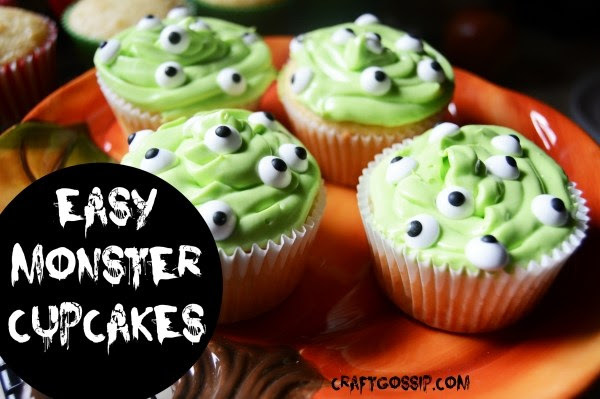 Monster Cupcakes with edible wrappers. 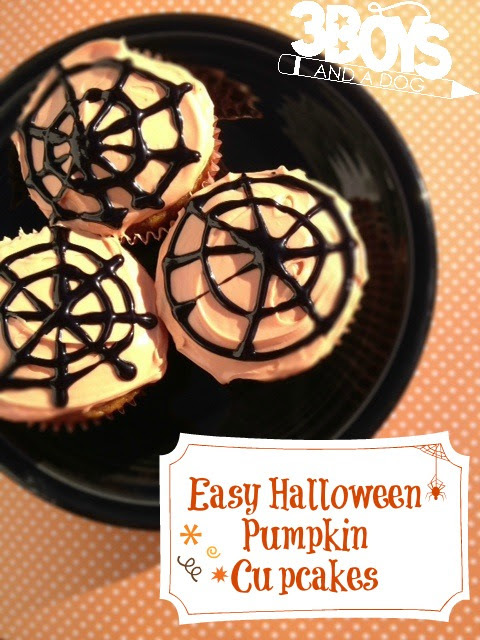 Don't forget to share this psot on Pinterest! During the past five weeks, I have been spending a few days per week substitute teaching at various local schools. Yep! I'm a "newbie". 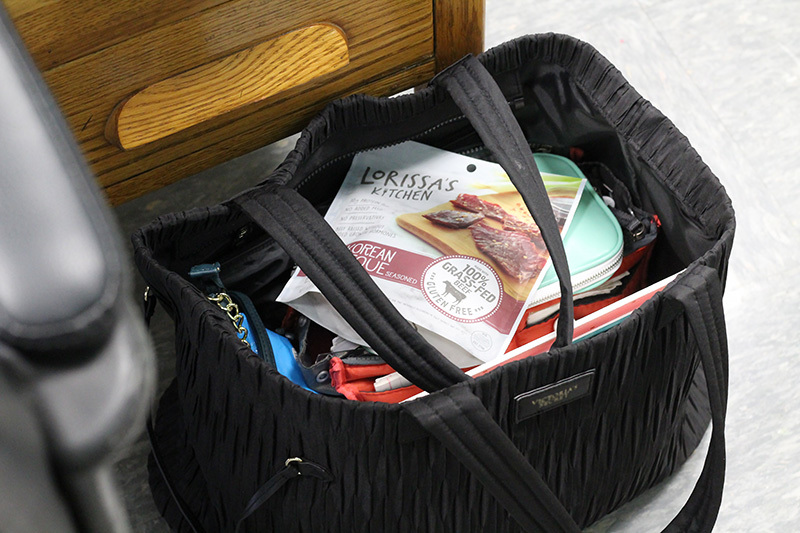 In those few weeks, I quickly realized there were things I needed to do to improve my day, such as adding extra supplies to my substitute bag and reenergizing myself before and after lunch. Below, you'll find tips that have helped me so far! -A clipboard that I carry around with me throughout the day. It usually has a class roster as a reference to help me remember students names, the class schedule, dismissal procedures, and a piece of notebook paper to write down a daily report of events. 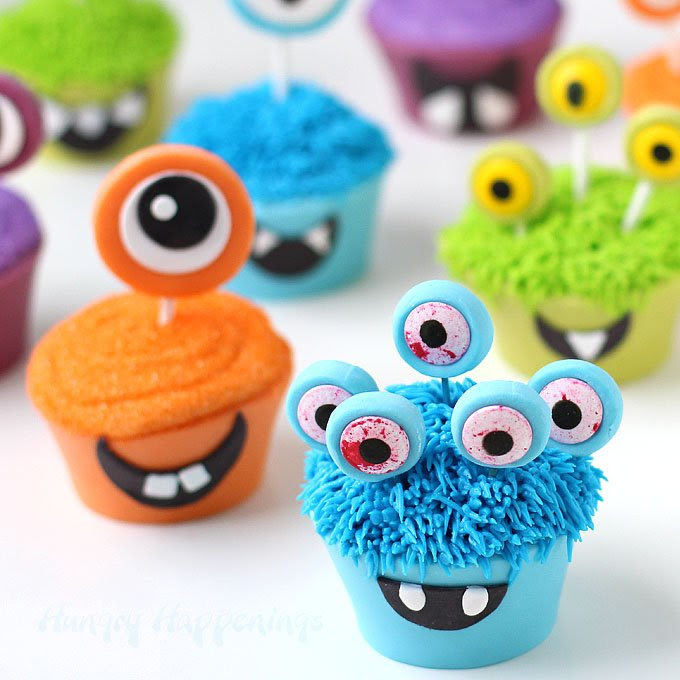 -Coloring and craft supplies. Markers, crayons, colored pencils, glue sticks, and scissors. -Hypo-allergenic facial wipes for quick hand or face cleaning for myself or the students and facial tissue. 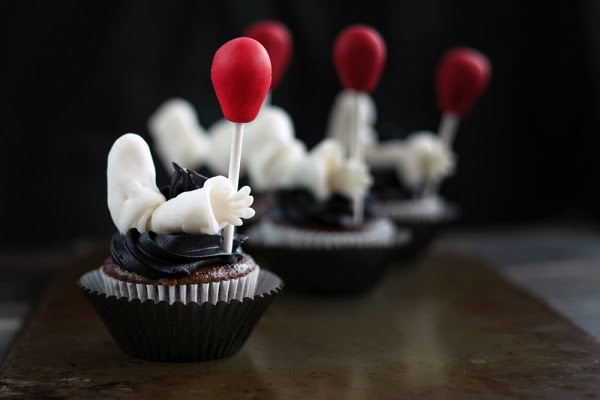 -Snacks (more on that below!). 2. Arrive early greet the students as they come in, and introduce yourself. As with any job, arriving early is very beneficial. 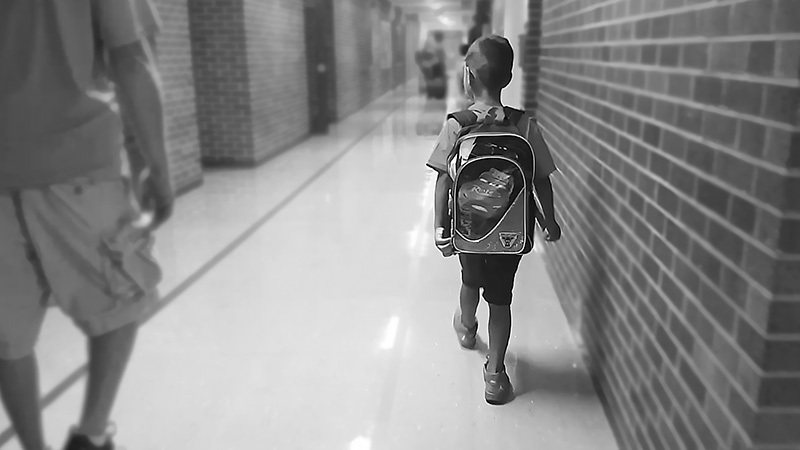 As a substitute, arriving early give you extra time to look over the schedule and lesson plan and prepare supplies as necessary and also to look over the school safety plans so that you know what to do if, forbid, a serious emergency ever occurred. 3. Follow the home teacher's instructions. So far, I have not entered a class where the teacher did not leave a detailed schedule or assignments from a lesson plan, however, I know that there may be a time where I may not have detailed instructions. 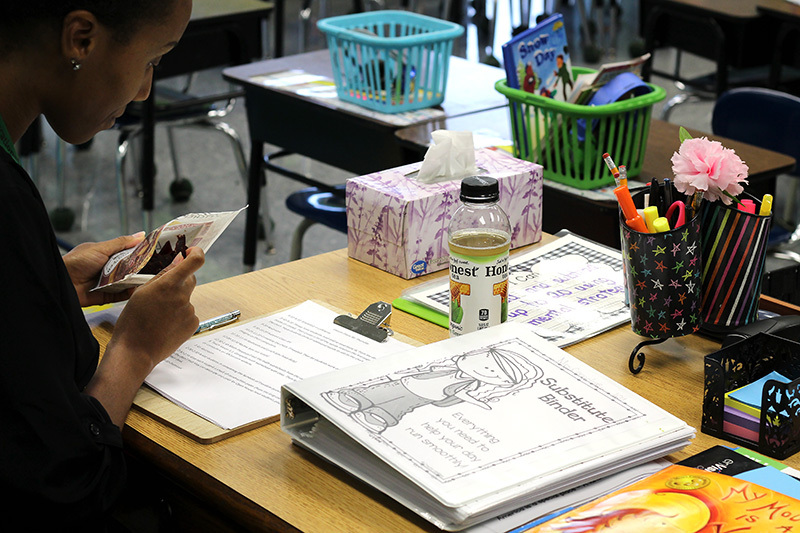 Usually, there is a substitute binder with general classroom notes and worksheets that students can complete. 4. 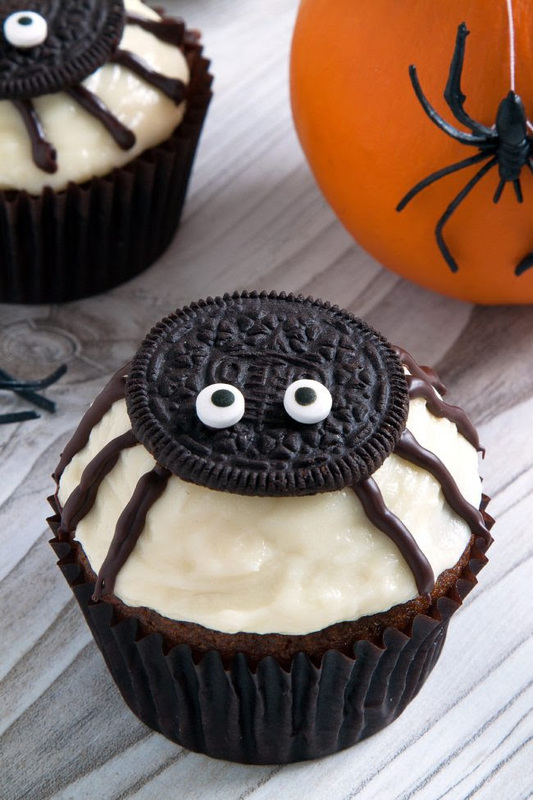 Have a snack. Although I genuinely enjoy my new responsibilities, I have to admit that by the end of the day, as proud as I am to have made it through the day after interacting with students and helping them learn, I'm equally as exhausted. Thankfully, I was recently introduced to Honest Tea® and Lorissa's Kitchen beef snacks, a perfect snack pair that's both appetizing and better for you than snacks that are high in sugar and preservatives. During my students' special classes; music, art, and P.E. and recess, I can re-energize during my quiet time with a snack. Honest Tea is just a tad bit sweet and certified organic by USDA. Lorissa's Kitchen premium prep-free protein snacks feature a clean label with many benefits that include 100% grass-fed beef, responsibly raised pork, is gluten-free and has no preservatives, no added growth hormones, no added MSG, and no added nitrites. The ingredients used in these portable snack packs can be found right in your own kitchen. 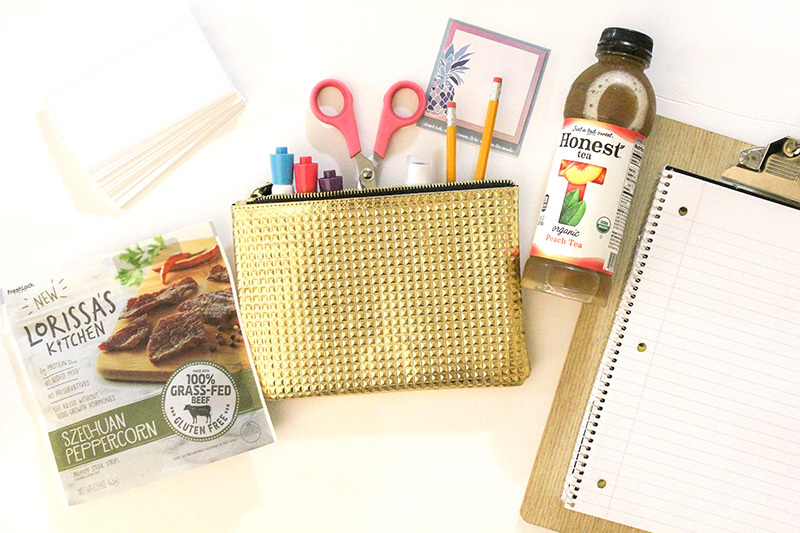 With Honest Tea and Lorissa's Kitchen products, you can feel better about your responsibly sourced protein snack and maintain a better lifestyle without sacrificing delicious flavor wherever you go. 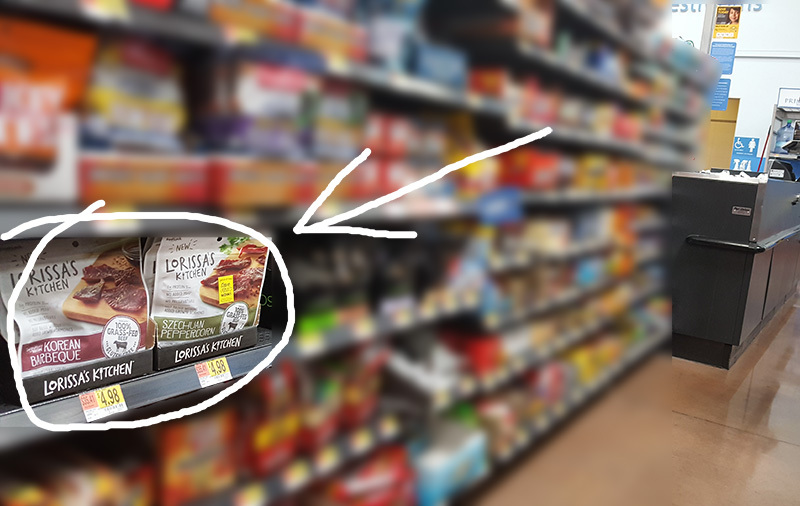 Lorissa's Kitchen offers four globally inspired flavors that can be found at your local Walmart store near the cash registers at the front of the store. Honest Tea products can be found nearby. Sweet deal alert: Earn $1.00 cash back with your purchase of the following combination, exclusive at Walmart, Lorissa's Kitchen™ Premium Protein Snacks - Any variety - 2.25 oz. bag and Honest Tea® - Any variety - Single bottle only. Both products must be purchased on the same receipt to receive credit for this rebate. 5. Keep track of the day. Substitute daily report forms may not be required by all schools or districts, however, I highly suggest you write one. Some teachers have preprinted forms you can fill out or you can print out your own. I use a piece of notebook paper. I write my first and last name and the Throughout the day I write down any behavioral or safety incidents that occurred with students, what students were helpful, who had to have redirection and frequent reminders to follow instructions, and what assignments and activities were completed, and whatever else I feel should be added. 6. Tidy up. 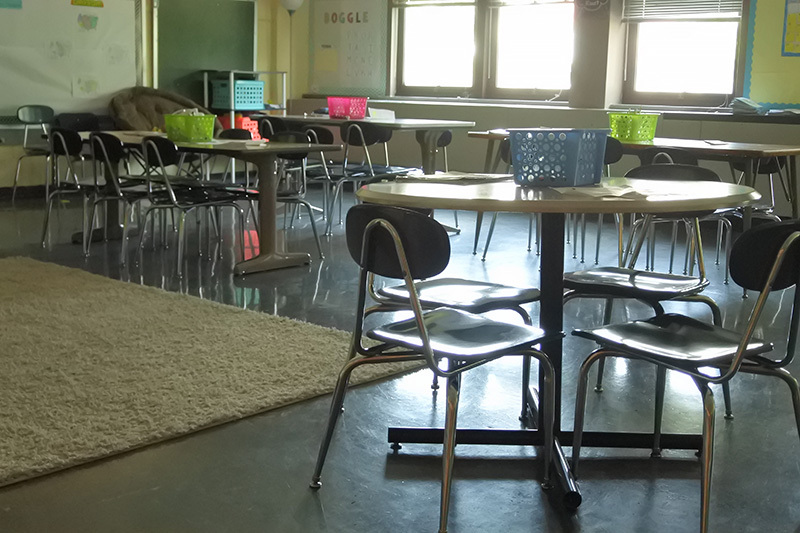 Before you leave at the end of the day, make sure the classroom is tidied up. Put furniture and supplies back where they found. I usually have my students pick up the trash around their desk or table and call them up and few at a time to throw it away. 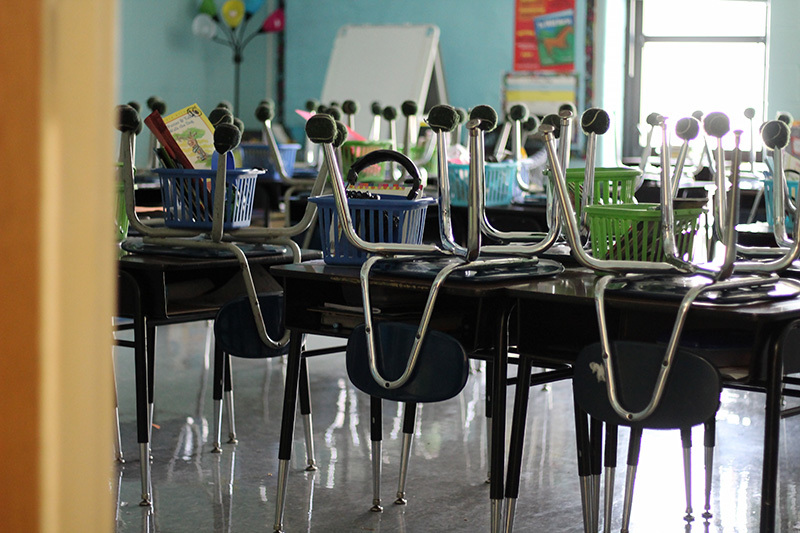 Some teachers have their students put their desks on the table before leaving, others don't. If you're unsure, ask a student. Bonus Tip: If you have no classroom experience and your educational background is not in teaching, thoroughly research and practice classroom management techniques. 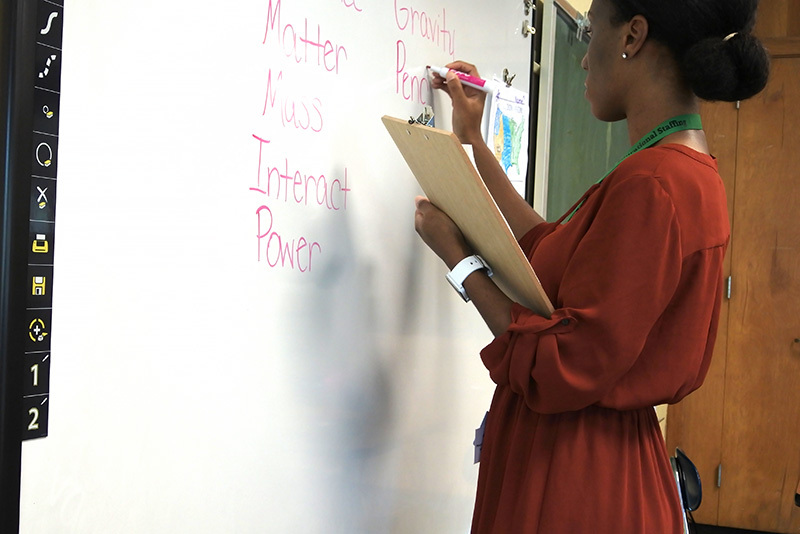 Many educational staffing companies and districts will go through a few quick training courses with new subs, however, it's extremely beneficial to learn more. I received permission from the principals at both schools to photograph the classrooms and share the images in this blog post. Thank you for reading! After six years of being a stay-at-home mom, I have re-entered the work force part-time as a substitute teacher. I'm not usually a morning person, however, since the new school year has begun, not only do I need to wake early to prepare my kids for school, but I also have to prepare myself and I have to leave our home 1-2 hours earlier than they do, depending on what school I'm teaching at. 1. To avoid "Grouchy Mommy Mode" and be mentally prepared for the journey ahead. Oftentimes, no matter how much I do my best to prepare everything the night before, there is something that occurs, causing our mornings to be hectic. The level varies, but hectic nonetheless. I notice that when I wake up earlier than my children, I'm not waking up into chaos and busyness, which can stress me out and lead to instant "grouchy mommy mode" where my patience level is low and I become snappy and easily irritated. Thanks to the quiet time I have to myself or time peacefully spent with my husband, I'm calm, relaxed, and in a great mood. So great that I can handle morning rush hour traffic. Some great ways to spend your quiet time are performing meditation techniques and mantras, exercising or other healthy movements such as stretching or yoga, reading, and encouraging affirmations that help give you confidence. How are mornings before school and work in your household? Do they usually run pretty smoothly or are they a little chaotic more often than not? 2. 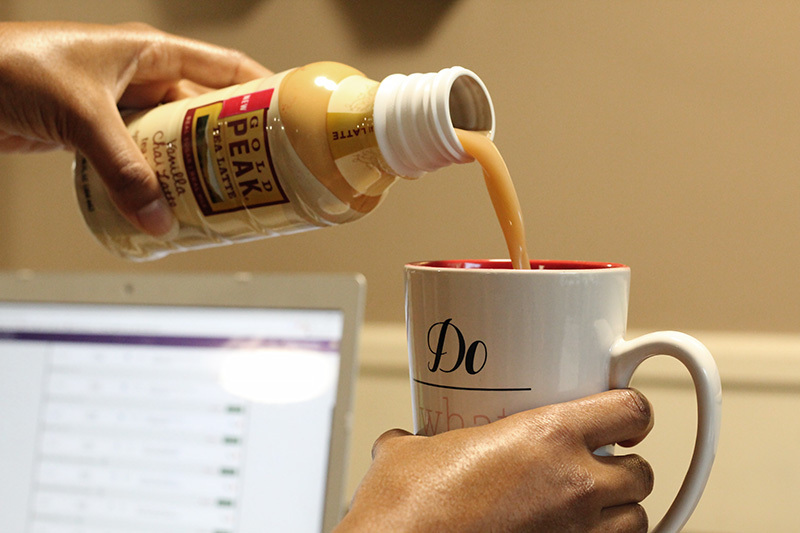 To energize yourself before taking on the day. I'm not a morning person. I wake early because, well, I have no choice. I need all the help I can get to get going. On the days I substitute, I'm unable to eat breakfast with my children because I have to leave out much earlier than they do. 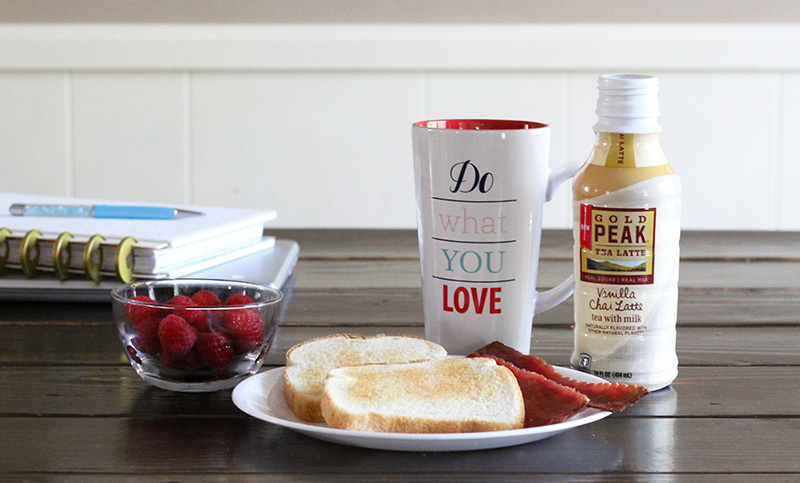 I usually make a quick and simple breakfast like toast, turkey bacon, and fruit along with one of my new favorite drinks, Gold Peak® Vanilla Chai Tea Latte. I love that it's made with real sugar and real tea and comes in two delicious flavors, Gold Peak Chai Tea Latte and Gold Peak Vanilla Chai Tea Latte. Gold Peak Vanilla Chai Tea Lattes. It gives me the boost of energy I need to help keep my mornings going. There are also two coffee flavors, Gold Peak Salted Caramel Coffee Drink and Gold Peak Almond Toffee Coffee Drink. 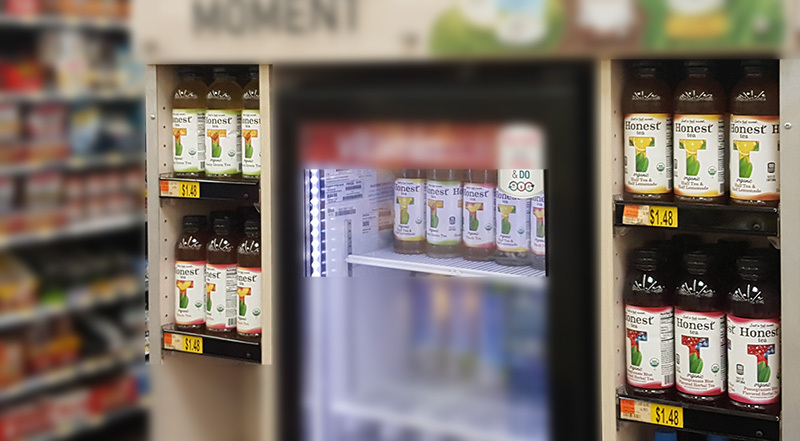 They're ready to drink directly from the bottle and the flavor varieties take the hassle out of having to go to a coffee shop to get a cold brewed coffee or chai tea latte. All four flavors can be found at your local Walmart store. 3. You can plan tasks and events without interference. 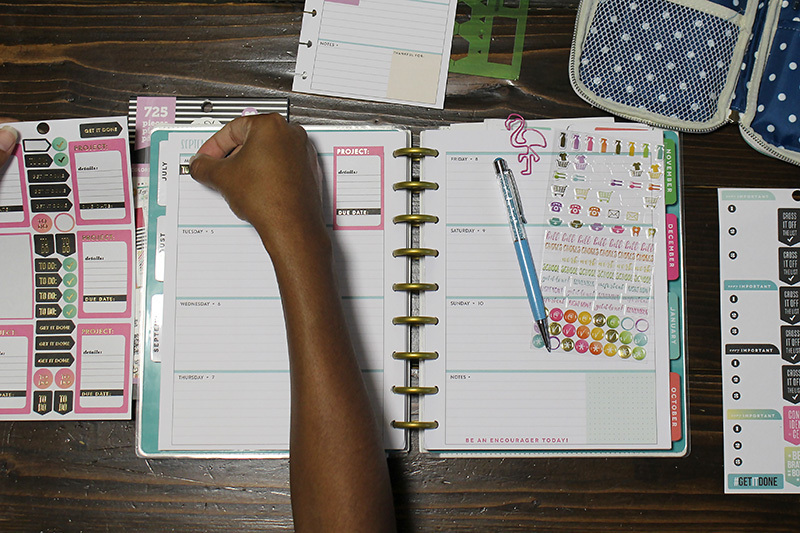 Without my planner and alarms reminding me what my next move is, I'm an anxious, forgetful hot mess. I have found that I'm able to plan more easily and remember what needs to get done when I have peace and quiet. A flexible daily plan written out in my planner gives me a guide to follow and helps prevent me from getting off task throughout the day. 4. Waking earlier helps boost your productivity. When I wake up earlier than my children, eat and get my day started, I find that I have more motivation to get things done without procrastination, whether it's cleaning or working on a blog post or video. It feels so good to get an early start on the day and complete tasks. I unintentionally motivate myself to keep up the good work because I enjoy the feeling of accomplishment that follows getting things done. I like to keep my morning routine pretty simple. I shower, plan, and prepare outfits the night before. I wake between 5:45 a.m. and 6:30 a.m. depending on my scheduled substitute time, the latter if I'm not scheduled or it's my off day. I brush my teeth, wash my face, drink a glass of water, and have breakfast. 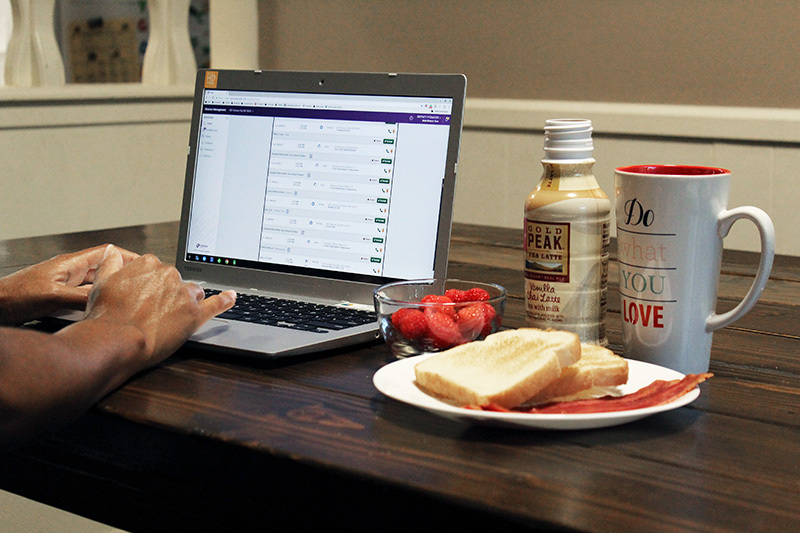 During breakfast, I check the online system to see if any substitutes are needed for the day if I'm not already scheduled for the day and then quickly check my email. I check and reorganize my daily planner as necessary. I fold a load of laundry out the dryer from the night before. I try to get in a 5-minute stretch (it feels so good! ), get dressed, then wake the kids and help them for a little while before I head off to work. I love listening to audiobooks on my ride to work. On my off days, my routine is the same, except instead of checking for substitute availabilities, I work on a blog post or video until it's time to focus on my kids. If you're a grumpy mommy in the mornings more often than not and/or could improve your time management and planning in order to get everyone out of the house on time, I strongly encourage you to try both, going to sleep and waking at earlier times. I hope that in sharing my routine and benefits of waking earlier, it encourages you to make changes in your morning routine for the better.